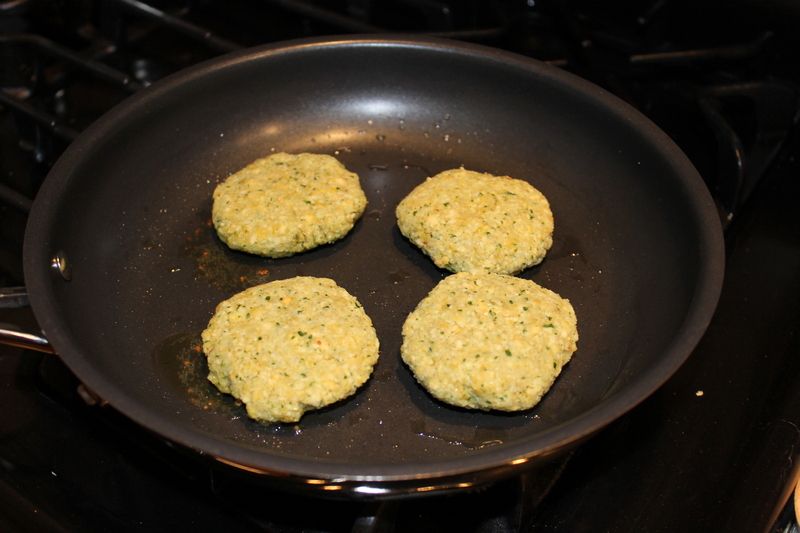 Until now falafel had been on that list — who knew it was actually REALLY easy and so satisfying to make?? 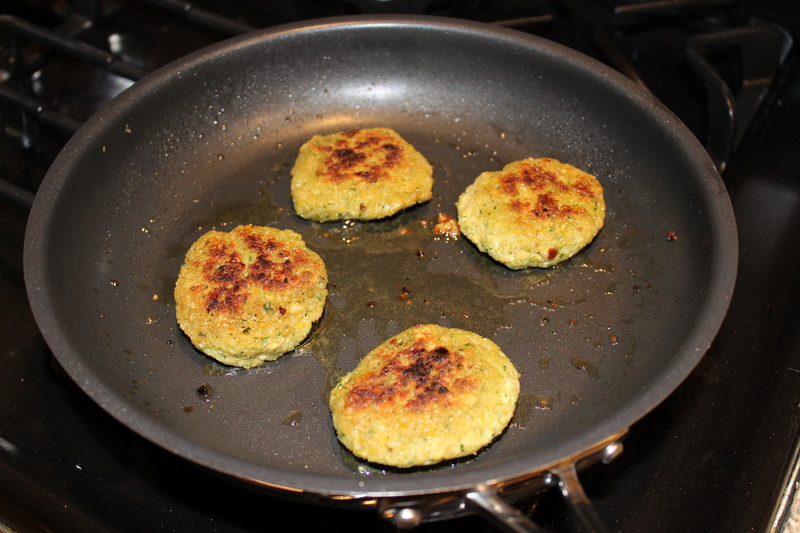 I owe this discovery to fenugreek… and Williams-Sonoma… I had been poking around their site in search of fenugreek inspiration (I mean they sell the dang stuff, they have to share some of its many uses…) when I came across their pan-fried falafel with fenugreek recipe, how wonderful! So here’s looking at you, fenugreek. Bring a large pot of water to a boil, add the dried chickpeas and cook for about 10 minutes. Drain and cool. The chickpeas should be slightly softened on the outside but still very firm on the inside. 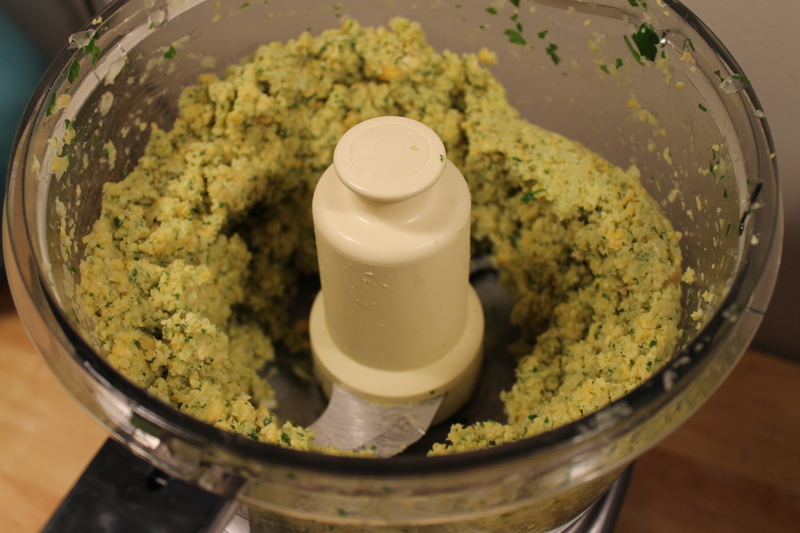 Put the onion, garlic, parsley, and cooled chickpeas in the bowl of a food processor. Pulse until the mixture is a coarse puree. In a small bowl, combine the salt, cumin, fenugreek, red pepper flakes and baking powder. In a larger bowl, add the spices to the chickpea mixture and stir to incorporate. Cover the bowl, and allow it to chill in the refrigerator for about an hour. How easy was that? 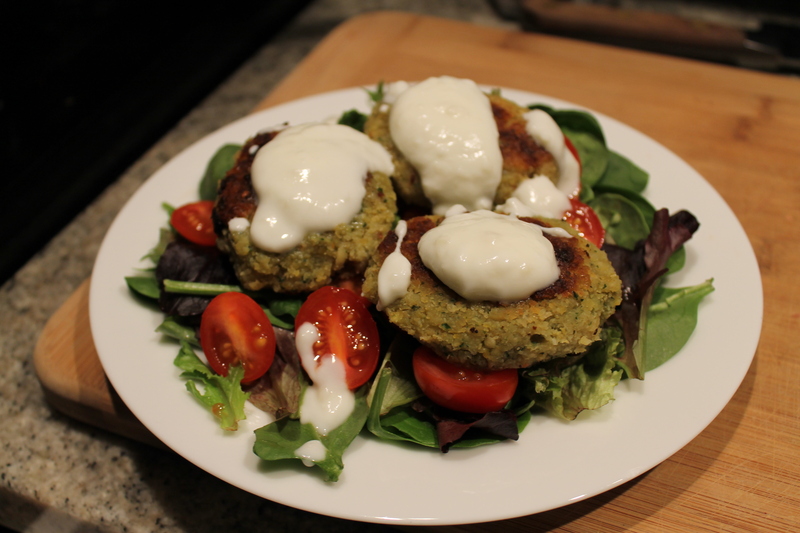 I enjoyed them thoroughly on a bed of lettuce and grape tomatoes with a simple plain yogurt/garlic/lemon juice dressing. This entry was posted in Cheap Eats, Fenugreek, Garlic and tagged chickpeas, dinner, falafel, fenugreek, healthy, pita, salad, vegetarian. Bookmark the permalink.